DONEGAL children are facing a wait of over two years for orthodontic treatment to align their teeth. Some 260 children in the county have been described as "urgent" cases for treatment yet still face long public waiting lists. General election candidate Charlie McConalogue outlined the statistics described the long waiting lists as "completely unacceptable". "One parent told me that her daughter has been on a waiting list for 22 months and has been told that she will have to wait at least another six months to have the treatment carried out at Letterkenny University Hospital, or go to Sligo, where the delay may not be as long," said the Fianna Fáil candidate. "I have raised this issue with the Health Minister on numerous occasions, who has confirmed that dental nurse post has been vacant for most of last year. “On top of the staffing issues at the hospital, there are also major equipment problems – three of the dental chairs in the department have been broken for months and the Saolta Hospital Group has refused to take responsibility for the damage," he added. He said: “The most recent stats reveal that at the end of November there were 260 children categorised as 'urgent' on the waiting list – 118 are waiting more than two years. "It is an outrageous situation that children are being forced to wait years for treatment because of staffing delays and broken equipment. It is high time that the Health Minister intervened and addressed these unacceptable waiting times." 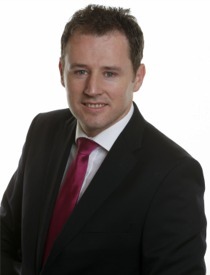 Donegal FF election hopeful Charlie McConalogue.